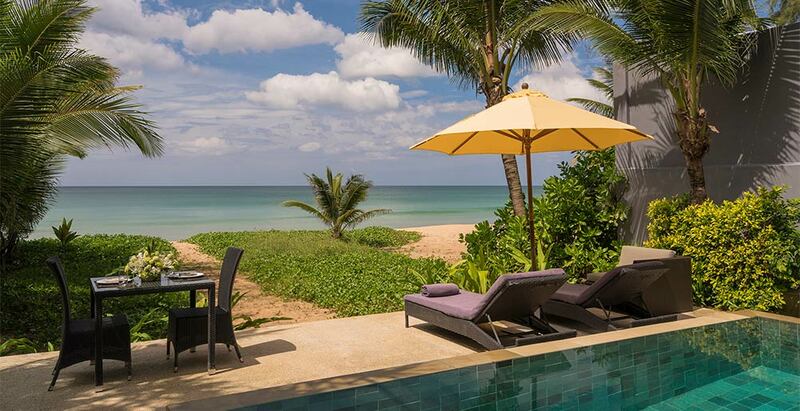 Infinity Blue Phuket is a vibrant four-bedroom beachfront retreat on Natai Beach, a 10-kilometre stretch of soft golden sand just 30 minutes from Phuket airport yet far from the crowds. Ideal for families or couples, the villa boasts a 15-metre sea-view pool, modern kitchen, cosy living room, lush tropical gardens bordering tranquil koi ponds, and a terrace for relaxing in the ocean breezes. Every bedroom is a haven of luxury and privacy, with ensuite bathrooms, stylish furnishings and an ocean or garden outlook. Infinity Blue is staffed with a full-time housekeeper, and a chef is available by request for an extra charge.